Tucked away on the back roads from Maidenhead to Ascot lies this little gem of a Farm shop, Fernygrove Farm is perfect if you want to get some fresh air over lunch and tire out your little ones at the same time. Fernygrove has a private carpark on entry to the farm (and an overflow if needed, watch out for the Bluebell Wood opening in May every year which can get very busy). Whether you fancy a quick coffee and slice of homemade cake, or a more leisurely breakfast or lunch, there’s something for everyone including a children’s menu. Should the British weather live up to its reputation there’s seating inside, although the real beauty of this place is discovered lunching al fresco. The view needs to be seen in person, so go check it out. 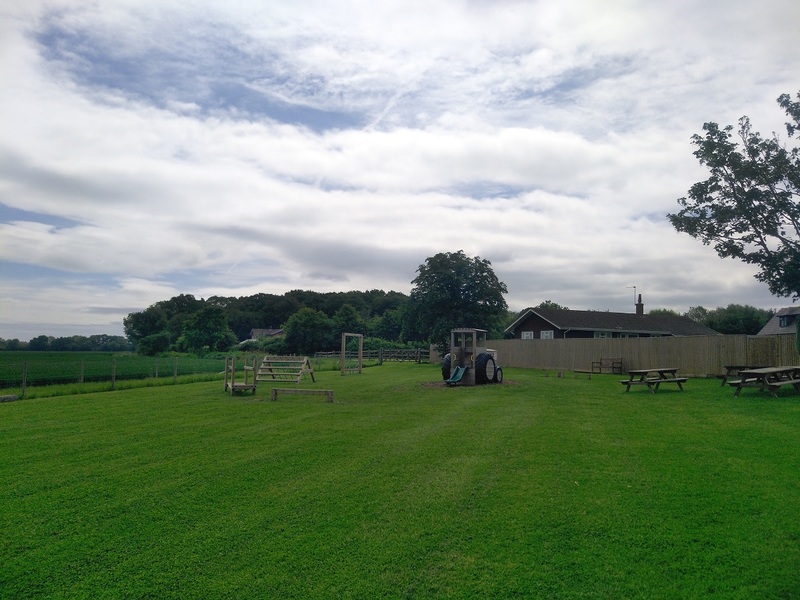 But think green rolling fields as far as the eye can see… What’s more, there’s plenty to keep the children busy and all in a safe, self-contained area. There’s a sand pit, wooden play equipment and a little enclosure with chickens – as well as plenty of space to run around and build up an appetite. If you want to be able to grab lunch with some friends and manage to finish a conversation knowing the kiddies are happy and safe, then this could well be the place for you. You should find something to make most toddler taste buds happy here. 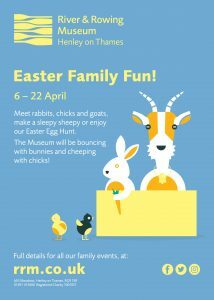 Meals include: ham egg & chips, sandwiches, children’s breakfast or a farm box (sandwich, mini cheddars, yogurt, raisins and a drink). *Opening times correct as of July 2017. For more information, see www.fernygrovefarm.co.uk. Like this post? If you want to see more suggestions for eating out with children in Berkshire, click here.